Travel south on Meridian on South Hill. Continue on 176th/Sunrise for about 1.5 miles. Turn RIGHT on 122nd, and continue to the bottom of the hill. 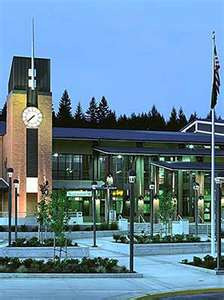 Emerald Ridge High is on the left.